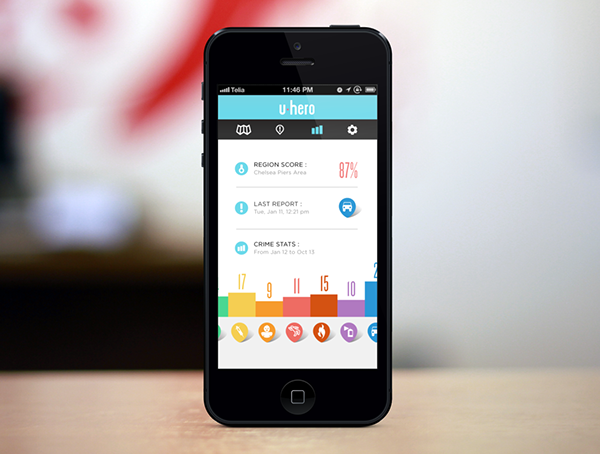 U-Hero App. Save and be Saved. Search our crime map and avoid dangerous places. You can also type in a different address then the one you are located in. Report crimes or suspicious activities you see and contribute to our databank. You will also be automatically sending a warning message to everyone close to the area of the event, warning them to be careful. Reporting is really easy, you simply have to choose the address, the time and the type of event you've witnessed. If you want to study the crime history of a specific place with more detail you simlpy have to type the address in. And detailed information about this region will be displayed in the screen, such as crime statistics, the region crime score and when the last event was reported. This can be handy in different situations such as when you are choosing a new neighborhood to live in, or to visit when travelling. If you are in danger, simply click in the "help button". 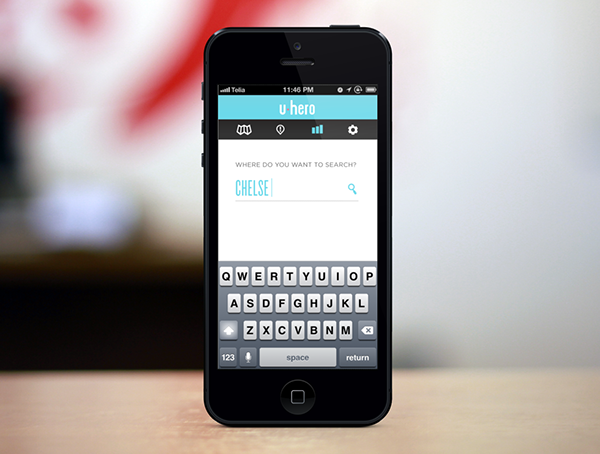 U-hero will send all your contacts a message saying you are in danger and providing your position. Our system can be connected to facebook, twitter, google+ and can even send text messages. Also, all u-hero users around you will be warned you are in danger and will be called to help you. You don't have to be afraid anymore, your heroes are watching. 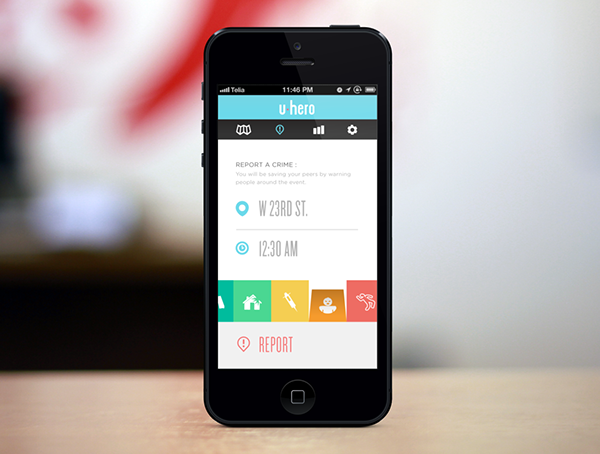 U-hero is an innovative app that gives your community the tools to look after each other. Our crime map will allow you to make searches and avoid dangerous places, and also study crime statistics of specific regions. You can also report crimes and let everybody know when a place is dangerous, therefore saving lives and protecting your community. Our live report system will also send a message to everyone close to an area when you report something you see, warning everyone to leave this place. Last but not least, our "help" button. By pressing it you will automatically send a message with your position and "in danger status" to your contacts on facebook, twitter, google+, phone emergency contacts and also all u-hero users close to you. Someone will see your call and answer it, being the hero of the day. Save, and be saved. U-hero.